Flypa has various parking lots, indoor and outdoor where you can park your car safely, you can choose between valet and shuttle parking. The friendly staff members of Flypa are always happy to help you with your luggage. Flypa is easy to find and it's only a short two minute drive from Düsseldorf Airport. Flypa has many different options to park your car, they offer a shuttle and a valet service. You also have the option to park your car inside or outside. The maximum height of the parking garage is 2,10 meter. Flypa is 24 hours and 7 days a week open. When you choose shuttle parking you drive to the main location and you register at the reception. An employee will park your car at one of the parking lots. The shuttle bus will bring you to Düsseldorf Airport in two minutes . 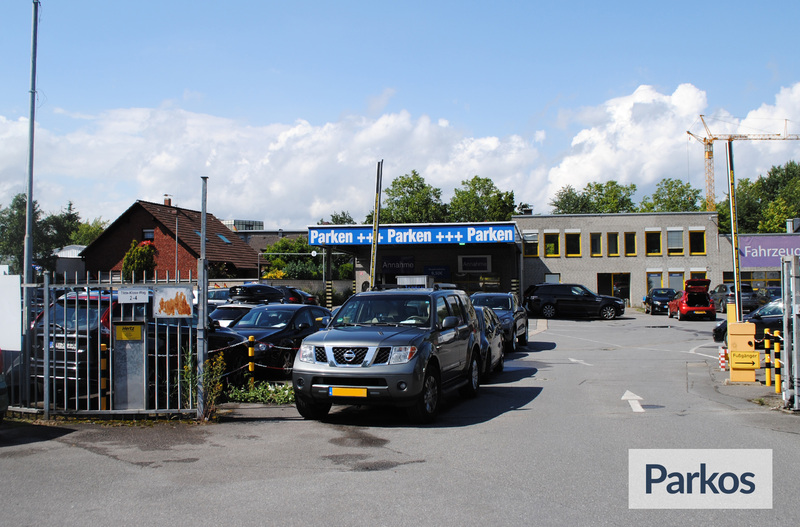 On your day of arrival the shuttle bus will bring you back to the main location of Flypa, where your car will be ready. 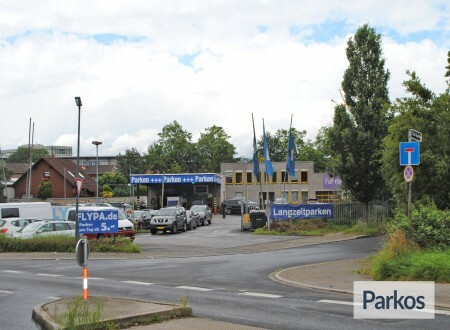 When you choose valet parking you drive straight to Düsseldorf Airport. A driver from Flypa will be waiting for you at the airport. 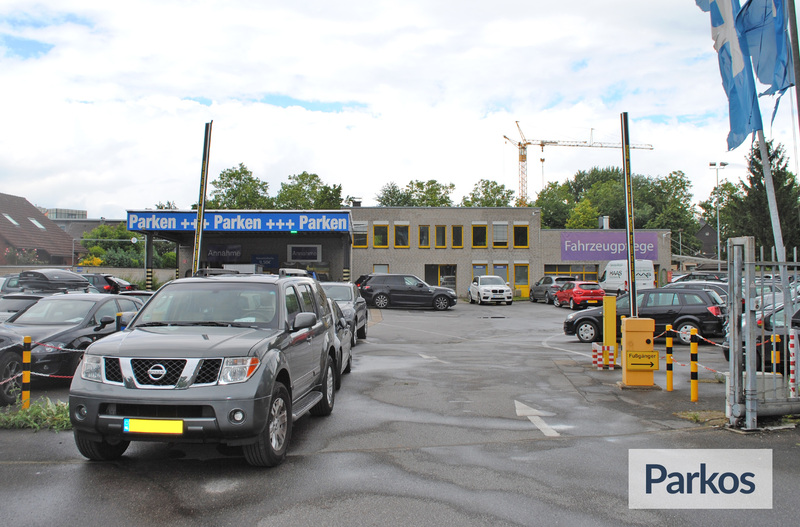 After an inspection of your car you can check in while the driver drives your car to the parking lot of Flypa. After your journey, your car will be driven back to the airport. The parking lots of Flypa are safe to park your car. The outdoor area is paved and is fenced with a steel gate. There are always co-workers present at the main location and you can reach them 24/7. 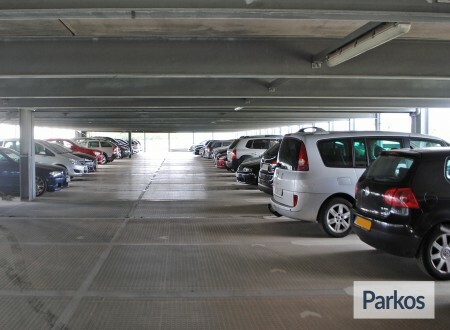 All the parking lots are secured with camera surveillance and your car keys are kept in a safe. When handing over your car, you and the driver will do a quick inspection of the car exterior, any damage will be noted. The parking provider is insured according to their own general conditions. 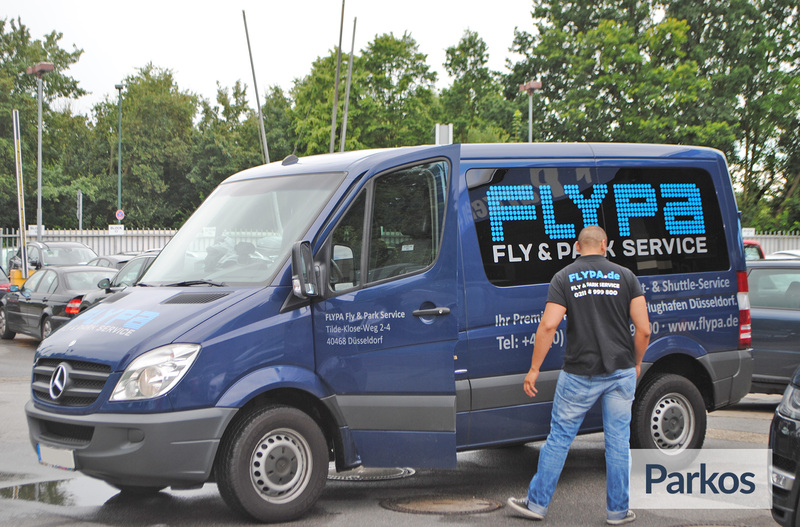 Flypa offers a few wash packages for your car, you will receive a clean car back on the day of arrival. You can book these extra services on the reservation form. You can choose between indoor or outdoor shuttle parking. The outdoor area is paved. When you arrive at the main location there will be a waiting room with a coffee/snack machine and toilets. Employees of Flypa are available to help you with your luggage and there are child seats available for children from 2 till 3 years old. When you book a valet service, co-workers will park your car in the indoor parking garage. The valet service of Flypa is ideal for disabled people. On the day of your departure you drive to the parking of Flypa. Please call the parking if you have a delay of more than 30 minutes. When you enter the parking you can register at the reception. The entrance of the reception is in the middle of the building in front of you. The shuttle bus is waiting for you at the parking and will bring you to the airport in two minutes. 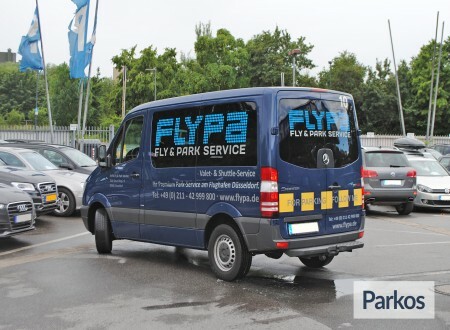 You can recognise the shuttle bus by its dark-blue colour, with the logo of Flypa. After landing you contact Flypa, once you have collected your luggage. The shuttle bus will pick you up at departure hall B-C and brings you back to the parking. On the day of your departure you drive to Düsseldorf Airport. Please call Flypa 10 minutes before you arrival at the airport to confirm your estimated arrival time at the airport. The driver will be waiting for you in front of the departure hall B-C. You can recognise a driver of Flypa by their black shirt with the logo of Flypa. Together with the driver you will have a safety inspection of your car and he will check your reservation form. After this you can continue your journey. After landing you contact Flypa, once you have collected your luggage, on the same number you called on the day of departure. 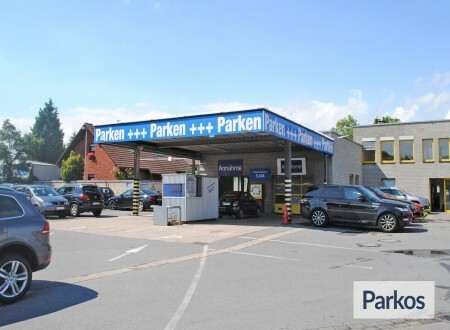 The driver will bring back your car to departure hall B-C, here you can pick up your car and after checking your car you can continue your trip home. 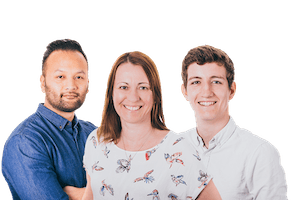 Should you need to shorten or extend your journey, please contact Flypa. When you would like to extend your booking, then please note that any extra payments can be settled when you pick up your car.